One-Reeler is a unique international awards competition that recognizes and promotes quality short films with a runtime of 12 minutes or less. Attracting filmmakers from all over the world, the competition emphasizes original, concise and impactful storytelling – the same qualities film festivals and distributors look for. 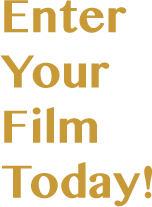 With thousands of short films submitted every year, placement in our competition signifies to the film community that your “one-reeler” is exceptional. The One-Reeler Short Film Competition is international in scope and has recognized filmmakers in Argentina, Australia, Canada, France, Hungary, Ireland, Mexico, Sweden, United Kingdom, the United States and more! One-Reeler is an ideal venue for live-action, documentary, and animated short films. As long as your entry is 12 minutes or less and tells a story, it is eligible for submission. Judging takes place by in-house staff and a committee of industry professionals. There is one primary category: Best Short Film. In addition to the primary category, all submissions will be considered for Awards of Excellence, Awards of Merit, and Honorable Mentions. Subcategories can be selected for an additional fee. These subcategories include Best Animated Short, Best Documentary Short, Best Actor, Best Actress, Best Supporting Actor, Best Supporting Actress, Best Director, Best Cinematography, Best Editing, Best Music, and Best Screenplay. There can be only one winner per primary category and subcategory. All submissions will be considered for Awards of Excellence, Merit, Honorable Mention, and Special Mention. A submission to the One-Reeler Short Film Competition does not guarantee placement. We receive hundreds of submissions from all over the world and not everyone can place. Winners are announced twice a year on June 30th and December 31st. Submissions are accepted year-round. All submitters will be contacted via electronic mail, unless standard mail notification is selected. After judging has concluded, winners in all categories will be notified of their placement (or no placement) and are given the opportunity to acquire awards and other keepsakes to commemorate their achievement. • Screenplay submissions must be uploaded as a PDF file, typed in English, and properly formatted using 12-point Courier font. Most screenwriting software will do this for you. CLICK HERE to display an industry format guide.